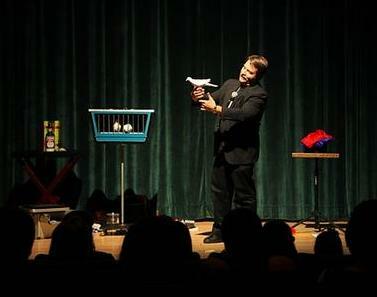 John has entertained audiences of all ages with his magic in Hampton Roads, Norfolk, Virginia Beach, Chesapeake, Hampton, Newport News, Suffolk, Williamsburg, and Richmond, Outer Banks, and the Eastern Shore for over 30 years. He has the experience you need to make your event a success. 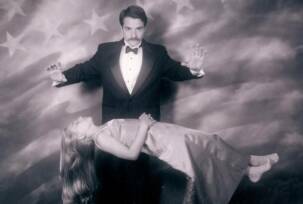 Whether you are looking for a magician for your child's birthday party, walkaround magic for a reception, a stand up performance for a business meeting, or large illusion for your evenings entertainment; you have come to the right place. Helping you create memorable events in Hampton Roads that have your guests talking about your party for weeks. Call me now to reserve your date. "You certainly made magic at Mel's party-and you were the cream on the cake"
"My children and I really enjoyed your performance at the Oceanfront Library. Thank you for doing a wonderful job! We remembered you from last year, and were excited to see you perform again." We hired John for a Rehearsal dinner this past Saturday night. 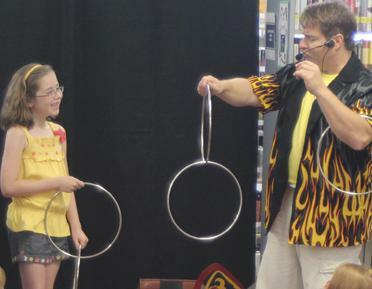 The guest absolutely loved his magic and personality. He went from table to table doing magic. No one was left out ...I would recommend hiring him for your event.